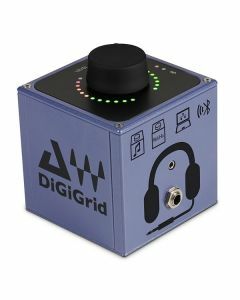 This smart little box has been designed to drive headphones at serious volume, and is fully controllable to suit any audio applications: from home recording projects to creative rehearsals, to major studio sessions and Audiophile headphone listening. If used in conjunction with the DiGiGrid [S], you can easily network up to four DiGiGrid devices up to 75 Metres apart. They can even be connected to multiple computers and DAW’s at the same time.